Following list of locations stating our service areas that we cover and a map to accompany. 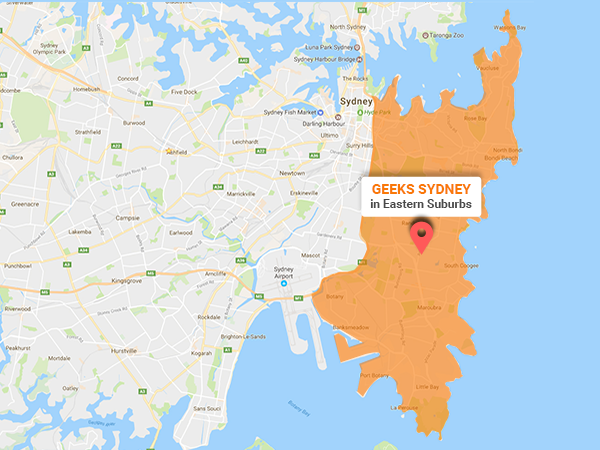 Our motto is “Geeks drive to you”, and to live by it we make it our top most priority to provide quality on site services, which means we come to you! Tired of dragging your tech troubles around with you? Let our geeks come to your aid! While we do take your said gadget to be repaired to our lab on rare occasions, its mostly the case where our geeks solve all of your troubles on-site, then and there, to ensure you go through a hassle-less experience while working with us! We serve at your located area!